Fran Nash was a well-loved librarian at the public library in Loudon, New Hampshire. 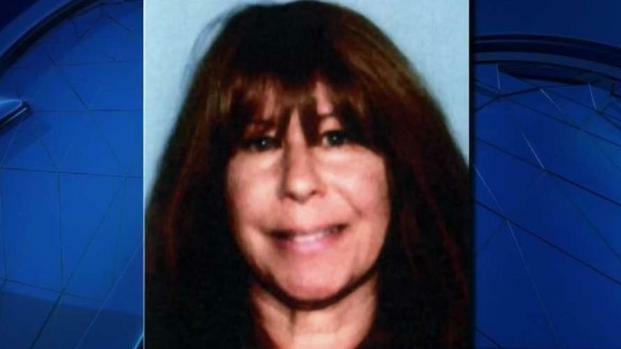 Authorities have ruled her death a homicide after finding her body in the woods on Monday. 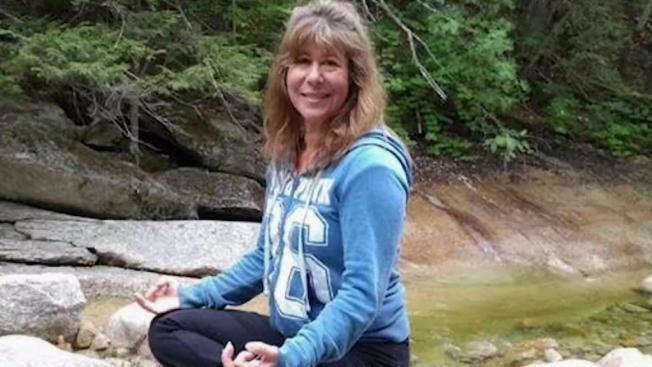 A New Hampshire community is mourning the death of a woman after her body was discovered days after she was last heard from, as her son faces extradition following his arrest on theft charges in Virginia. Fifty-one-year-old Chichester resident Frances Nash was found stabbed to death in a wooded area in Canterbury on Monday after New Hampshire State Police announced the night before they were looking for her and her SUV. An arrest warrant for Nash's son, 21-year-old Phillip Nash, was issued in connection with the thefts of his mother's SUV and another vehicle, and he was arrested hours later in Emporia, Virginia. It's unclear when he'll be extradited to face theft charges in New Hampshire. Meanwhile, friends and coworkers at the public library in Loudon, where Frances Nash worked as a librarian and a popular yoga instructor, are grieving for a woman they remember as, "a ray of light." A New Hampshire man has been arrested in Virginia. Investigators determined his mother was stabbed to death. "One of the biggest gifts that she gave to us here at the library was yoga classes," Carrie James, a family friend and library trustee, said. "Everyone always raved about her yoga, she was a great teacher." One of Nash's sons posted on Facebook that she was last seen Thursday night with her son Phillip. Friend and co-worker Joli White said she was at the library with Nash when Phillip Nash unexpectedly showed up, adding that he was acting strangely before the mother and son drove away. "It was definitely out of the ordinary, but she cares a lot about her family," White said. "They've been struggling for the past year and she just left early to go help him out." Nash had told friends in the past that Phillip Nash had been suffering with mental illness. "She wasn't the kind of person that's going to look at her own son and be afraid," James said. "But I think the situation was really scary for her." Phillip Nash has not been named as a suspect in his mother's death, but investigators with the New Hampshire Attorney General's Office also want to speak with him about her murder. "Right now, we don't know what the connection there is," Jeffrey Strelzin, a senior assistant attorney general, said. "This is obviously his mother and he may have information pertinent to her disappearance and death, pertinent to our ongoing investigation." It's unclear if Phillip Nash has an attorney. Anyone with information about the case, or about Frances Nash's activities since last week, is asked to call New Hampshire State Police at 603-271-3636.